Backflow preventer enclosures come in a variety of materials all with various levels of protection. 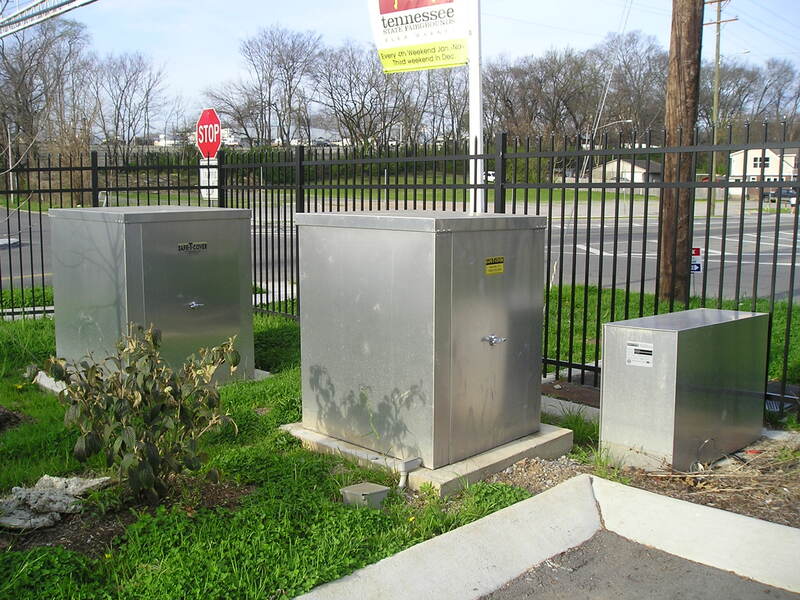 However, for backflow prevention devices larger than 3", the two main types are aluminum and fiberglass enclosures. Here's the question - Will your customer be satisfied with a fiberglass enclosure? My guess is this question never gets asked by the water works distributor or civil engineer when the project is designed and the fiberglass hot box enclosure is purchased and installed. Should you ask this question? We think so, and here are three reasons why that are worth considering. First of all, for pipe sizes greater than 3”, an aluminum enclosure can be purchased for the same cost as a fiberglass enclosure. Think about the products you purchase for yourself. Think about cars, clothing, or furniture. If you can buy a product that will provide better service for a longer period of time at the same cost, you're going to choose that product every time. Your customer has hired you to do the same for them. They are looking to you to make decisions in their best interest. 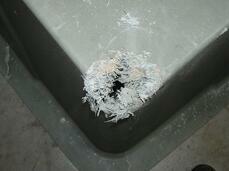 This picture is an example of what happens to the sprayed insulation on the fiberglass hotbox enclosure. This insulation has a greater chance of falling off the skin, and when that happens, the enclosure isn’t insulated in that area. 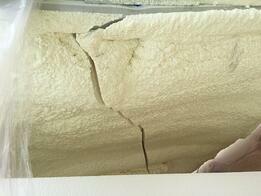 In fact, sometimes the enclosure and its insulation crack even in transit to the job site. Compare that to the insulation in the panel design aluminum enclosure. It's not sprayed on and will always stay in place. There are aluminum enclosures in the market that have been in place for decades without a single instance of this problem. If the first cost is the same, which enclosure would your customer select? In markets where the temperature falls below freezing, ASSE 1060 class 1 hot box enclosures will maintain 40 degrees even when the outdoor temperature drops to -30. This is true for both fiberglass enclosures and aluminum ones. However, if the exterior is compromised it is now possible for the backflow assembly to freeze as the heater may not be able to maintain a temperature above freezing. Take a look at this picture at an installation in western North Carolina. All it took to ruin the freeze protection of this enclosure was a weed eater. The lawn mower and weed eater are the enemy of the fiberglass enclosure. You might say, what’s the big deal? Here’s the big deal – this enclosure included a heater – an indication someone had the intention of keeping the backflow device warm enough not to freeze. This customer is likely unaware this problem exists but may ask questions if they need to replace the backflow preventer when it freezes. 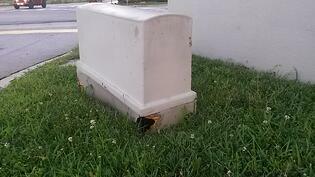 Yet another chronic problem of fiberglass enclosures is UV damage. This is inevitable even with a UV protection coating. The coating wears off and you get "fiber bloom." As you can see in the image on the right, this also compromises any freeze or frost protection the fiberglass enclosure was bought to provide. Once again, fiberglass and aluminum enclosures are comparable in price but one is much more rugged than the other. Which one would you want on your property protecting your water supply? Your Reputation - Is it worth the Risk? Most of the time, designers assume the decision to install fiberglass enclosures doesn’t matter to the customer. After all, in the grand scheme of things it is a small ticket item, right? And they’ll never really know, right? The customer will become interested when the backflow device freezes because the fiberglass enclosure has holes in it or the insulation cracks off and the heater couldn’t maintain a temperature greater than freezing. That’s when your customer or the insurance company will start asking questions. This small, seemingly insignificant decision becomes much more interesting when your customer or the insurance company is looking for the responsible party as the business was down for a few days because the backflow device froze and we had no water service to our building. Or how about why the fire sprinkler system didn’t work because the backflow device was frozen and our building suffered additional unnecessary damage from a fire. How will you answer these questions? The status quo guides many decisions in our work and personal life. But doing so can sometimes put us in a compromised position. The next time you specify or sell a backflow enclosure, think about what’s best for your customer and your reputation and specify an aluminum backflow enclosure that will stand the long tests of time.